My Lili of the valley trio stamps have been out to play again. I think they are only available as digis now, but mine are actual real rubber ones! I think they are ideal for DL cards. The sentiment is also a Lili of the Valley stamp. The background is stamped all over with a small snowflake block stamp. 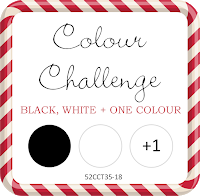 Beautiful - penguins are perfect for our black and white challenge! And turquoise is a great choice - frosty and snowy, and so pretty. Thanks for joining in at the 52CCT. How cute! I love those playful penguins. You did a beautiful job. Thanks for sharing. 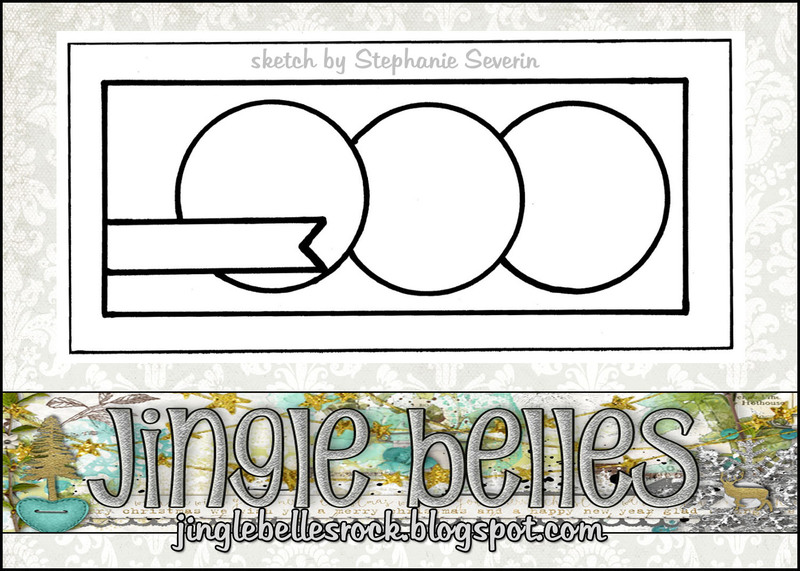 I love how the critters try to get outside of their circles ... so very glad you got SKETCHY with us at Jingle Belles. I like the card very much! Love the snowflake stamped background. Adorable card. Thank you for sharing with us at The Sparles Monthly Challenge. This is just too stinking cute!!! Really cute Jane. Thank you so much for sharing your lovely creation with us at Sparkles Monthly Challenges.